Home Central building supplies store specializes in hardware products. 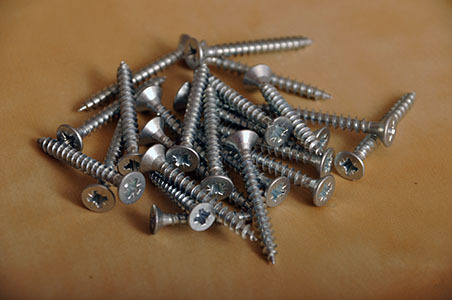 Bolts and brads, hinges and hand carts, we have thousands of items in our hardware department for your next project. By the piece or bulk boxes of nails, the right products for any project no matter how big or small. You can find beautiful cabinet knobs in our decorative hardware display or hollow wall anchors and hardened bolts in our bulk bins. Product selection is something we take pride in and if you don’t see what you need, just ask. Our knowledgeable staff can find the right item for you or special order from one of our suppliers. The staff here at Home Central have tons of home repair experience under their belts and sometimes even the most seasoned professionals need assistance in finding the right item for their project. No need to sort through hundreds of bins by yourself at one of the big box stores, we can save you time and frustration by helping you every step along the way. Whether you need to find the right repair hardware for your door, you need step by step instructions on changing a door handle or you would rather have us re-key your locks for you, we can help! Providing top-notch service to our customers is extremely important to us and we look forward to helping with your next project. From woodworking supplies to window hardware, the list goes on and on!